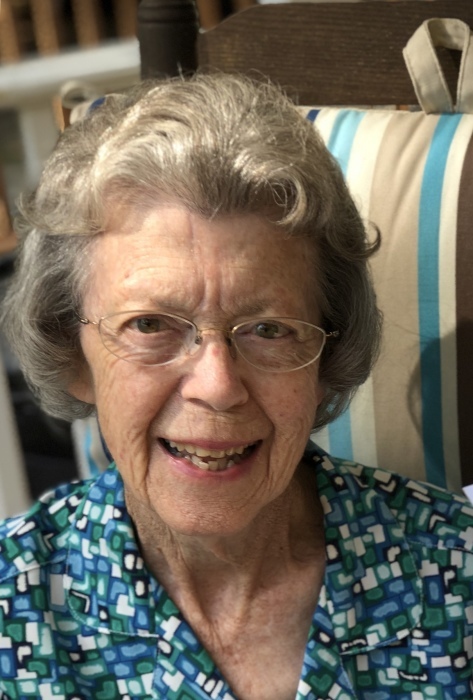 Eleanor Jeanette Coats Lester of Sparta, GA passed away at age 86, Wednesday, February 6, 2019, at her residence. She was born June 13, 1932, in Experiment, GA. Eleanor was one of two daughters born to the late William Thomas Coats and the late Myrtis Bass Coats. She graduated from Spaulding High School in Griffin and attended Massey Business College. On December 24, 1952, she married William Hammett Lester. They have lived in Sparta since 1970 where she taught Kindergarten at John Hancock Academy. After her years teaching, she worked for the United Security Bank in Sparta. She was a faithful member of Sparta Baptist Church. Mrs. Lester loved gardening and making memories with her family. In addition to her husband of 66 years, William “Fuzzy” Lester of Sparta, GA, she is survived by her daughter, Lisa Ruark (Richard); granddaughter, Audrey Redmond (Kyle), grandson, Will Ruark (Elizabeth), great granddaughter, Caroline Redmond all who reside in Milledgeville, GA; and niece, Ulma Spoon (Don) of Monroe, GA. She was preceded in death by her sister, Francis Newman of Experiment, GA.
Visitation for Mrs. Lester will be held on Friday, February 8th beginning at 10:00 a.m. with the funeral service to follow at 11:00 a.m. at Sparta Baptist Church, 9090 East Broad, Sparta, GA 31087. Rev. Brian Hill will be officiating. Pallbearers include: Will Ruark, Kyle Redmond, Don Spoon, Richard Lester, Carl Gooch and Marty Everett.The Board of Directors of Sparta will serve as honorary pallbearers. Interment will follow at 3:30 p.m. at Griffin Memorial Gardens, 515 Dobbins Mill Road, Griffin, GA 30223. McCommons Funeral Home, 109 W. Broad St., Greensboro, GA, (706) 453-2626, is in charge of arrangements. Visit us at www.mccommonsfuneralhome.com to sign the online guest register.